We’ve all had one of those tormenting sleepless nights where you just can’t relax. Everything is irritating and your mind gets constantly distracted by racing thoughts that won’t let you fall asleep. You toss and turn all night long, getting more and more agitated as you realize your precious sleeping hours are slipping away. Once you get to the point of complete exhaustion, you fall asleep at dawn only to wake up to your alarm an hour later. Needless to say, you’ll feel absolutely jaded and groggy the next day. 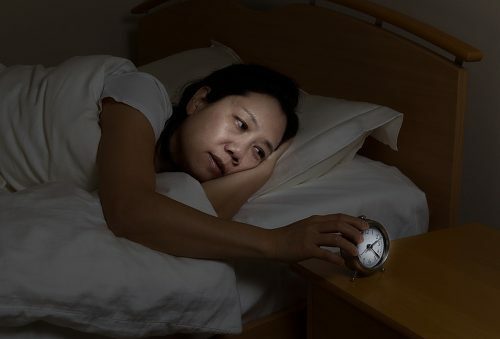 In the past, insomnia was seen as a condition of the elderly, but nowadays, it seems that sleeping troubles affect all ages. Even young adults, perfectly healthy otherwise, complain about sleepless nights and develop sleeping aid addictions. No wonder that we aren’t sleeping—our life is full of stress. We have to face different stressors at different stages in life, and there is usually some amount of stress lurking. Even if you don’t have to deal with pressing deadlines at work or creditors hounding you, just flipping through your evening newspaper or watching the news can raise your blood pressure and steal your peace of mind. One way or another, we often end up burning out emotionally, and contrary to what you’d expect, both physical and emotional fatigue can be a hindrance to a good night’s sleep. Sleep deprivation doesn’t just take the joy out of your life—it’s detrimental to your health. You feel sluggish and heavy-headed, your reaction time slows down, you become more prone to accidents and injuries, and your immune system takes a nosedive. (Didn’t you notice that catching a cold is much easier after pulling a few all-nighters?) So, the sooner you address your sleeping problem, the better. The first thing you need to do is stop stressing out about your lack of sleep. Accept it as a fact, and let it go. After a few sleepless nights, it’s understandable that you get anxious every night as your bedtime approaches yet you don’t feel sleepy. Don’t let that anxiety take over you—you will end up sleepless yet again. Plan your evening in advance. Tonight, it’s all about you and your sleep. Refrain from any exciting activities that will keep you alert. Not tonight. Don’t drink coffee or any other caffeinated drink several hours before your bedtime. If you are sensitive to caffeine, don’t consume anything caffeinated after 12 p.m.—switch to herbal tea and water. In fact, keep yourself hydrated throughout the day to avoid getting up in the middle of the night for a sip of water (only to discover you can’t get back to sleep). Have an early dinner. Eat a meal that is healthy and nutritious. Skip anything processed, spicy, or sugar loaded. You want your food to keep you full and happy rather than make you thirsty and irritated. Your regular evening routine probably involves the use of electronics. Maybe you like to catch up on what’s happening in the world, watch your favorite TV series, or do some online shopping. Again, not tonight. Unplug yourself for the evening: read, meditate, or do anything else that does not involve screen time. While physical activity usually promotes a good night’s sleep, if you’ve been experiencing sleep troubles for a while, a high-intensity workout may agitate you instead of calming you down. Try yoga for a change. A good option is yin yoga—it is slow paced, the poses are held for longer periods of time, and it promotes greater relaxation. No wonder yin yoga classes are usually scheduled late at night—it’s a perfect prep for a great night’s sleep. As you get closer to bedtime, dim the lights. Shut the blinds if there’s too much light outside. Once you’re in bed, close your eyes and concentrate on gradually relaxing every part of your body, one by one. Resist thinking about your sleeping troubles and focus on staying calm instead. If your mind starts generating a list of to-do tasks for the next day, just jot them down without leaving your bed, then get back to your pillow. Don’t force it—sleep will come when you’re not expecting it. Sweet dreams!